On Monday night, Buzzfeed released a report stating that an Uber executive made some offhand and regrettable remarks in the presence of a journalist without realising he wasn’t off the record. The remarks were partly aimed at journalist Sarah Lacy, who has been critical of Uber in the past. 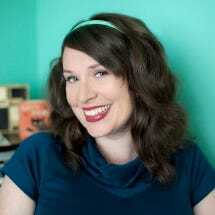 Lacey is the founder and editor-in-chief of PandoDaily, and a former senior editor at TechCrunch. On Monday night, the website was hosting their “PandoLIVE” program when Buzzfeed posted its story. Lacy was on the program and she, along with her co-host, responded to the article, and had plenty to say about Uber itself. As one might imagine, it’s a passionate and angered response.